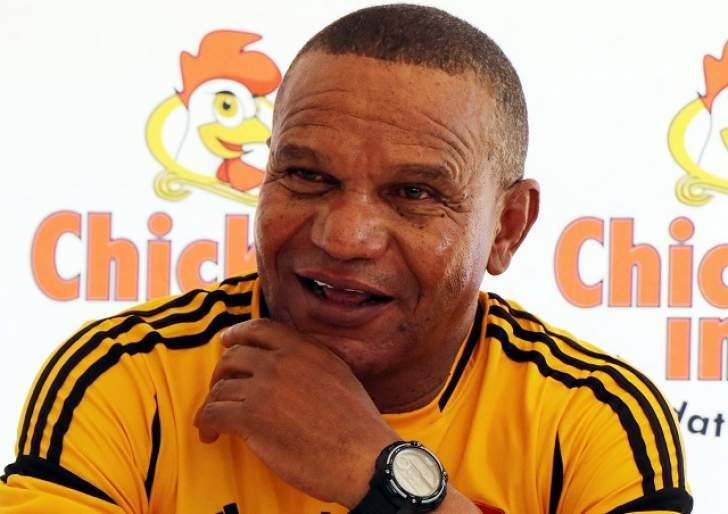 CHICKEN Inn coach Joey Antipas says he is expecting a different Dynamos when they travel to Rufaro this Sunday to resume their rivalry in the Castle Lager Premier Soccer League. The Gamecocks handed DeMbare their first defeat when the teams clashed in the opening match of the season in Bulawayo with veteran Obadiah Tarumbwa's solitary goal making the difference. And, the result appeared to set the tone for Dynamos' disappointing run this year. DeMbare have performed below expectation and went into the mid-season break on ninth place with 20 points from 17 games. In contrast, Chicken Inn have enjoyed better fortunes with 30 points in the bag and are lying third in the championship race. "I am sure it's going to be a different ball game altogether. We all know what Dynamos are capable of doing on their day," said Antipas. "It's a fact that they didn't have a good run in the first half of the year and they realise they need to turn the corner. So, they are not going to be easy opponents and with the changes that they have made to their structures we know for sure that we have a game on our hands." The two-week Premiership break was a chance for all the 18 teams to beef up and restrategise. The Gamecocks have recalled midfielder Joe Nyabinde from Shabanie Mine where he acquitted himself well during a loan spell. They have also bolstered their defence with the acquisition of ex-FC Platinum and CAPS United defender Last Sithole. Goalkeeper Samuel Mafukidze also comes in as replacement for Elvis Chipezeze who has moved to South Africa's Baroka. Chicken Inn are also preparing for life without leftback Devine Lunga who is strongly linked with two South African clubs Golden Arrows and Black Leopards. "We are looking forward to the resumption of the matches after we had that break to recharge. I am sure most of the teams got themselves organised during the break," said Antipas. "Some have new players and they are looking to up their game. "It's the same with us. We need to up our game. We have to try and be consistent in the remaining 17 games. If you look at it, we weren't too bad in the first half of the season. But I think we had too many inconsistencies like a yo-yo." The marathon resumes on Saturday with a 2pm kick off to avoid the counter-attraction of the 2018 FIFA World Cup. Log leaders FC Platinum will headline the fixtures on Saturday when they host ZPC Kariba at Mandava. The platinum miners are enjoying a three-point lead at the top-of-the-table while ZPC Kariba have been trying to work their way up the ladder following a poor start. On 44 points, from 17 starts, FC Platinum miners are enjoying their campaign. The reverse fixture between the sides failed to kick off after ZPC Kariba had refused to travel to the National Sports Stadium where they had been ordered to play their home match after Nyamhunga failed to meet minimum requirements. The match was awarded to FC Platinum on 3-0 scoreline. Another interesting tie is expected when second-placed Ngezi Platinum travel to National Sports Stadium for a date with newboys Herentals. Harare City will host giants CAPS United at Rufaro. Meanwhile, the PSL will hold a two-day security and football management workshop starting today in Harare.